Lazada began selling Taobao products in Singapore and Malaysia earlier this year. They are expanding to the rest of the Southeast Asia by adding Philippines, Indonesia, and Thailand. Before the partnership, customers outside China has been limited because of the language barrier on the Taobao's official website. Now, with the inclusion to Lazada's ever growing list of partners, Taobao can now cater to a much larger audience throughout Southeast Asia. 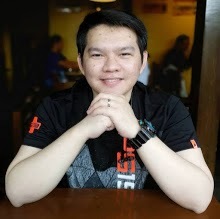 and with the integration of Lazada's popular cash on delivery and free shipping option, It will certainly be a hard offer to refuse for the customers. Not to mention the current promo of up to 80% OFF! The Taobao Collection will offer deals with up to 80% discount! 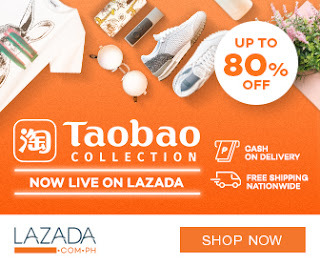 Now, customers will be able to order Taobao items without the hassle of international shipping as Lazada will provide free shipping nationwide and cash on delivery! They can choose from the wide range of assortments that they have. From women's fashion, men's fashion, electronic accessories and more! Head on to Taobao Collection and browse through the vast variety of items available. Enjoy!